We’re well and truly heading into autumn, time to put away the sundresses, dust off your umbrella and long-sleeve sweaters. Where some people are looking into the winter holidays to the sun, other people are excitedly awaiting the moment they can hit the slopes and enjoy a bit of snow. Below is an overview of some of Europe’s most luxurious resorts to get your skiing spirits flowing. One of the most luxurious resorts is Courchevel in France. This resort is known for its glitz and glamour – and it comes at a price, too. Guests easily spend over £40,000 for a week of skiing, with Michelin-starred restaurants and high-end clubs it’s a great place to spot some celebrities. For indulgent and over-the-top accommodation, check out Hotel Barrière Les Neiges. Fully refurbished in 2016, this high-end hotel is decorated in a charming mountain chalet style and comes with a spa, pool and private cinema. With renowned skiing, Courchevel is part of the biggest linked ski area in the world, namely Trois Valleés – offering over 600km of slopes. It is a great resort for skiers of all levels, from beginners to experienced skiers, you will have plenty of fun on the 150km of local slopes. 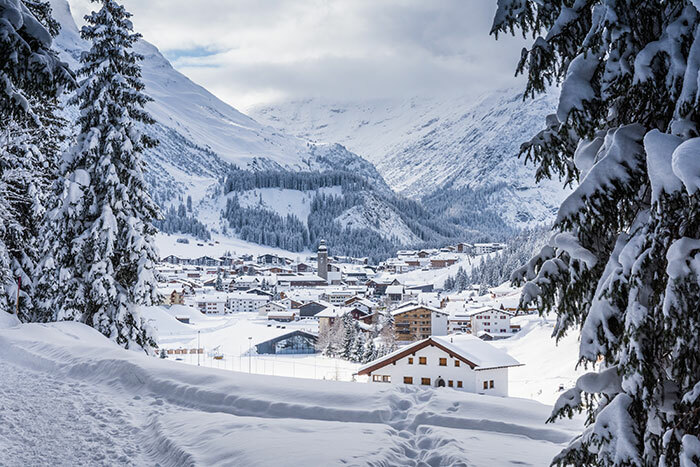 As one of the most exclusive resorts, Lech seems to draw its fair share of the rich and famous with its many five-star and four-star hotels. For years it has been the resort where the Dutch royal family takes their annual skiing holiday. Each year, they will hold a photo session on the slopes where the King and Queen pose with their three princesses. In exchange, the press leaves the family alone during their holiday. Lech also has easy links to Zürs, another highly exclusive resort in Austria. From Lech you have access to over 275km of slopes, many of them perfectly suited for intermediates and more advanced skiers and snowboarders. Try the famous 22km long White Ring circuit – a slope that runs clockwise starting in Lech Village and ending in Zürs. If you are after something more challenging, try one of the resort’s off-piste terrains such as steep mogul fields. Enjoying a luxurious getaway doesn’t have to break the bank. A bit of luxury during your skiing trip is more than affordable when operators like Mark Warner offer both spa facilities as well as child-minding services in their hotel chalets in Tignes and other resorts. All inclusive family resorts offer the best of both worlds: a great holiday with your kids as well as a little bit of adult alone time, away from the children and other distractions. Book yourself a well-deserved facial or massage, whilst experienced nannies are tasked with keeping your little ones occupied for an hour. Tignes is also great for skiing. As it is linked to Val d’Isere, you will have access to over 300km of great slopes. Tignes is also home to Grande Motte, a glacier that offers a magnificent skiing or snowboarding experience. 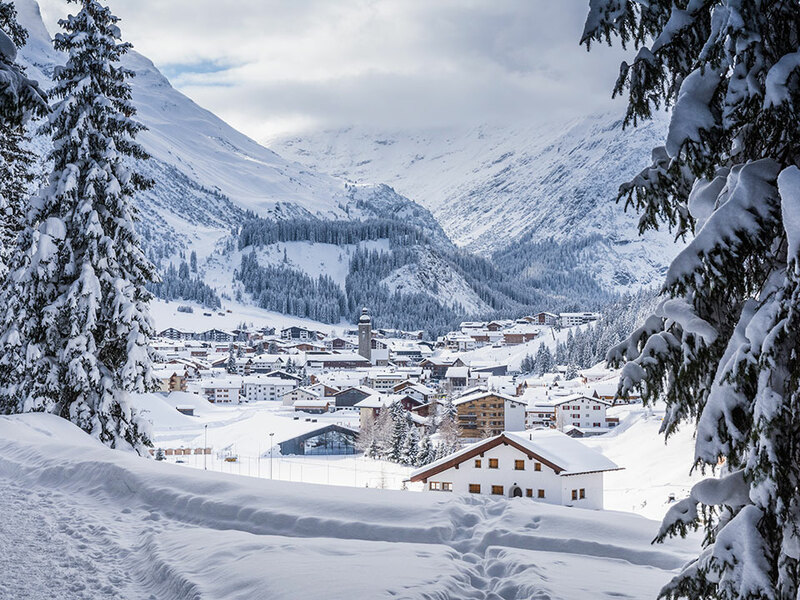 Klosters is a ski resort with royal ties. This time it’s the British royal family who have a long-standing history with the ski resort. Prince Charles has even had a skiing cable car named after him, and Prince William and Prince Harry actually first learned to ski on Klosters’ slopes. It was so popular amongst the rich and famous in the fifties that the resort was actually known as Hollywood on the Rocks! It’s not surprising Klosters is a popular destination, the resort offers a relaxed atmosphere without pesky paparazzi in your way. Grab a phenomenal dinner at Michelin-starred restaurant Walserstube. You can of course do some great skiing and snowboarding here as the resort shares 300km of slopes with neighbouring resort Davos. If you are into off-piste skiing, you are in luck: Klosters offers fantastic off-piste terrain for expert skiers and snowboarders.